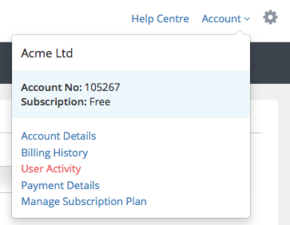 See which of your users have been active within your billing month. 2. Choose User Activity from the list. You can use the Activity Date filters to search for the date range you wish to find. You can choose whether you want a Detailed or Summary report of your active users. 3. You can download your user activity report to CSV but clicking Download.